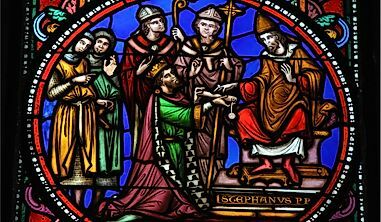 The following is a list of flowers which represent each Canadian province and territory. All flowers of the provinces and territories are native to their respective area. 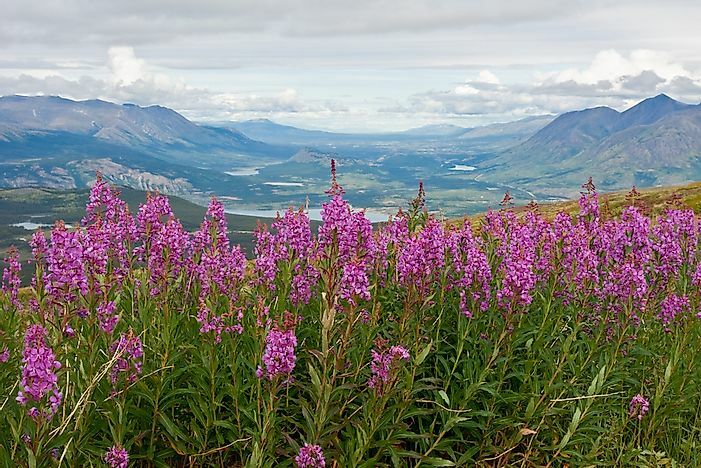 Pictured here: fireweed found in Yukon. Unique flower emblems represent the Canadian provinces and territories. 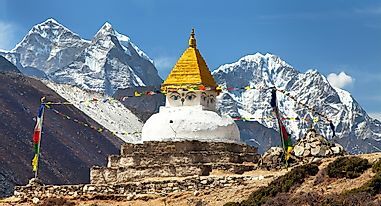 These symbols represent the sovereignty and the various provincial identities. 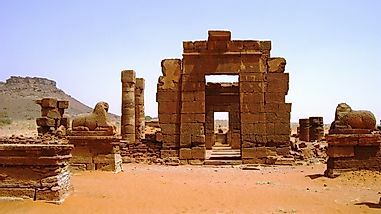 They express the different features of a province or territory. The provincial floral symbols account for the flora of an area. Below is a detailed analysis of the different flower emblem of various provinces and territories of Canada. The fireweed is a perennial herbaceous plant native to the temperate regions of the Northern Hemisphere. 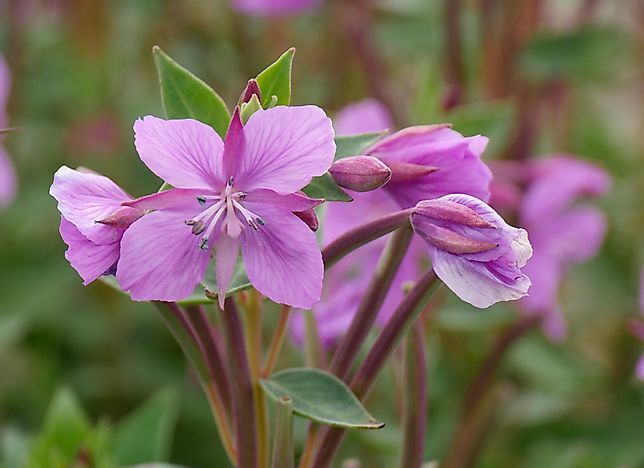 Some parts of Canada commonly recognize the fireweed as the great willowherb. The fireweed has a reddish stem that rises to a height of about 0.5-2.5 m and has leaves that are scattered and spirally arranged. The flower is edible and is also a source of vitamin c and pro-vitamin A. The fireweed is the official flower symbol of Yukon, Canada. The western lily, scientifically known as the Lilium philadelphicum, is a perennial lily species native to the North America. The Lilium philadelphicum is diverse in Canada dominating the British Columbia and Quebec. This lily species grows to a height of about 30-90 cm and produces orange or red flowers between June and August. 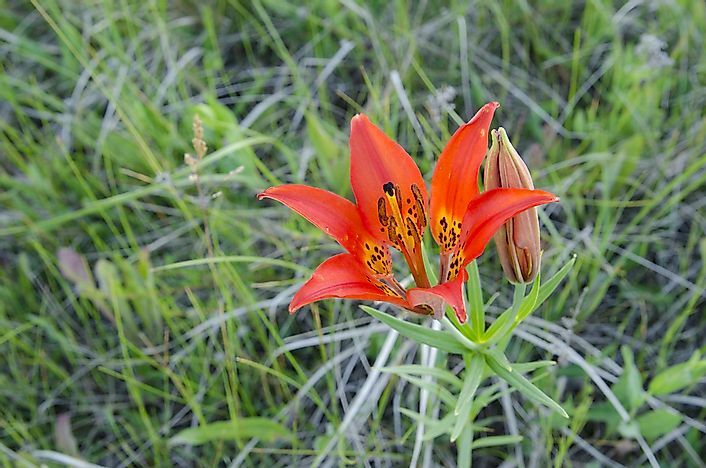 The western red lily is listed as an endangered species as its status is threatened. The western red lily is a provincial floral emblem of Saskatchewan, Canada. 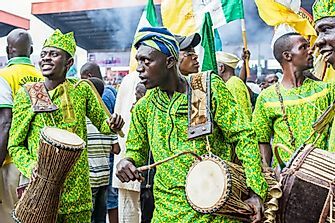 It is because of this reason that the Provincial Emblems and Honors Act prohibit its picking, uprooting, and even destroying. 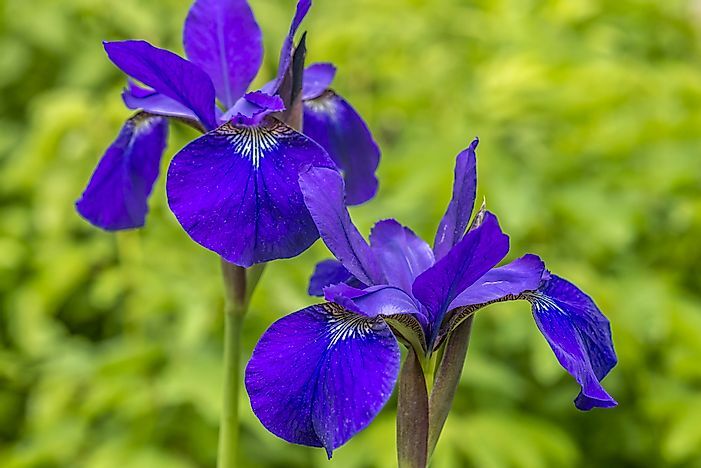 The blue flag iris is a species of Iris that is scientifically known as the Iris versicolor and is native to North America. The blue flag iris is diverse in Eastern Canada and the Eastern United States. Iris versicolor is a perennial plant that grows to a height of about 10-80 cm and has blue flowers. Quebec adopted the blue flag as its official floral emblem after abandoning the use of the Madonna lily, which was not native to this region. 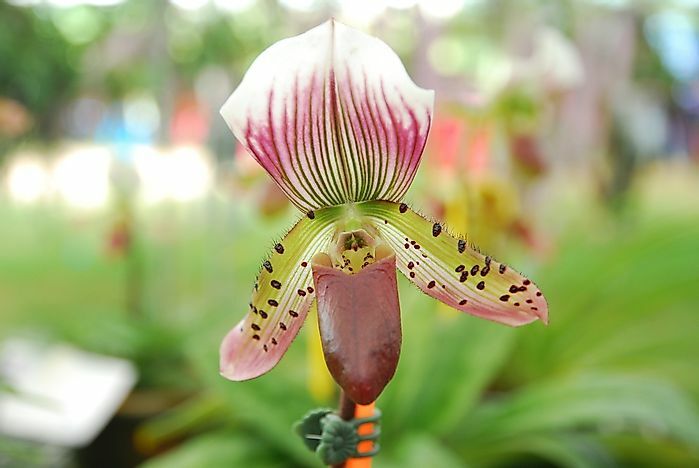 Scientifically known as Cypripedium acaule, the pink lady’s slipper is an orchid from the genus Cypripedium. The lady’s slipper is diverse in Canada, as it inhabits every province except British Columbia. The lady’s slipper plant has two leaves that are close to the ground and a stalk that sprouts to hold a single pink flower. Prince Edward Island in Canada uses the pink lady’s slipper as the official flower symbol. The trillium, Ontario's provincial flower. 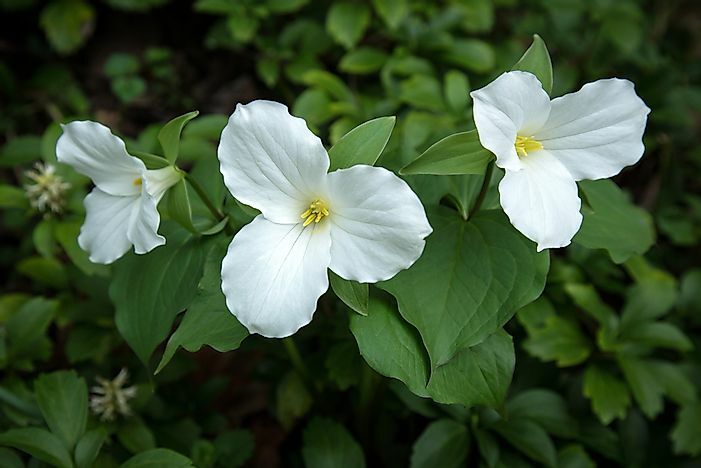 Trillium grandiflorum is a species of flowering perennial herbaceous plant that is native to North America ranging from the northern Quebec to the south of the United States. In Canada, this plant is also diverse in British Columbia. The white trillium is famous for its three-petaled white flowers. The flower is the official provincial emblem of Ontario, Canada and is featured on the province’s official flag. Purple saxifrage, the flower of Nunavut. 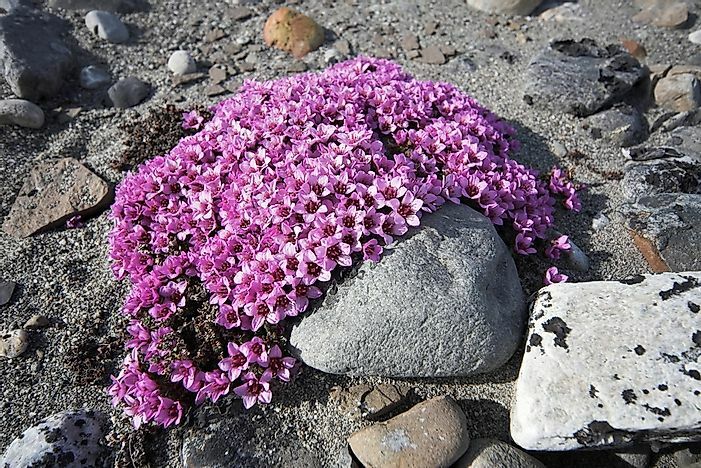 The purple saxifrage, scientifically known as saxifraga oppositifolia, is a species of a low-growing edible plant found in the Arctic and high mountainous regions. The plant grows to about 3-5 cm and has woody branches that lie close to the ground. The plant flowers during the spring to the summer. It thrives in environments ranging from cold temperatures to arctic habitats. The purple saxifrage is the flower symbol of Nunavut, Canada. 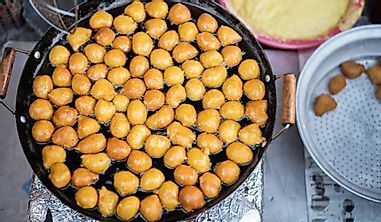 The Mayflower, also known as the trailing arbutus, is a shrub in the family Ericaceae. Its habitats range from Newfoundland to Kentucky. The plant does well in moist and acidic soil. The flowers of the Mayflower are pink and fade to almost white. In Canada, the Mayflower is the emblem of Nova Scotia. Mountain avens, the flower of the Northwest Territories. Mountain avens, scientifically known as the Dryas octopetala, is an Arctic-alpine flowering evergreen subshrub in Rosaceae family. The name octapetala comes from its eight petals that are a unique feature from the rest of the Rosaceae family. 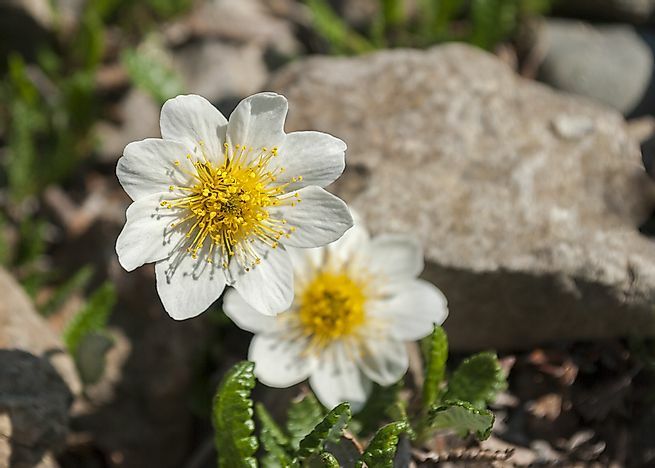 The Dryas octopetala is diverse in the mountainous regions dominating the Arctic regions, the Scandinavia mountainous region, and the Canadian Rockies. The Northwest Territories of Canada recognizes the Dryas octopetala as its official floral emblem. The official flower of Newfoundland and Labrador, purple pitcher plant. 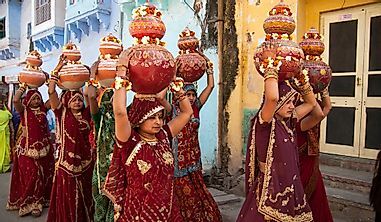 The purple pitcher is a carnivorous plant in the family Sarraceniaceae. Its habitat ranges from the Eastern Seaboard and the Gulf Coast of the United States, all regions of Canada except Nunavut and Yukon, Alaska, and Washington state. 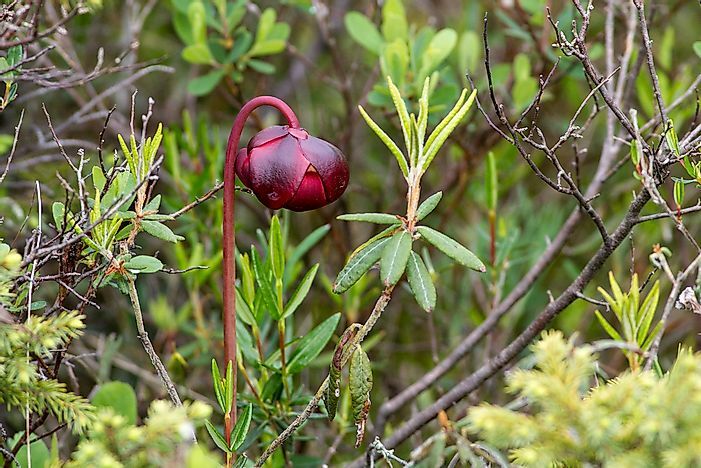 The purple pitcher plant thrives in the cold temperate climates. Like all other carnivorous plants, the purple pitcher plant obtains its nutrients from prey capture. This species of the pitcher is the floral emblem of Newfoundland, Canada. The purple violet, the official flower of New Brunswick. The purple violet, scientifically known as Viola, is the largest genus in the family Violaceae as it has species of between 525-600. Most species of the Viola are widespread in the temperate Northern Hemisphere. Some species are perennial, others are annual, and a few are shrubs. The viola has heart-shaped leaves and flowers that rise from the ground. 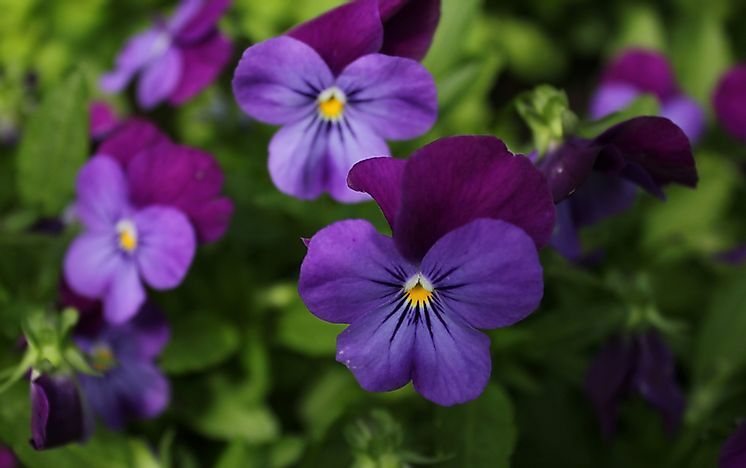 The colors of the viola flowers range from violet, to shades of blue, white, yellow, and cream. The purple violet is the national emblem of New Brunswick. 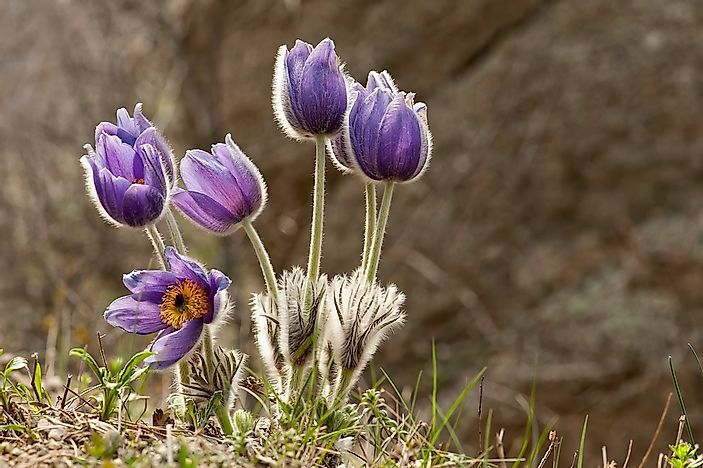 Prairie crocus, scientifically referred to as the Pulsatilla patens, is a flowering plant from Ranunculaceae family and are native to Canada, Europe, China, Mongolia, Russia, and the United States. The population of prairie crocus is reducing due to the interaction between the shortgrass prairie and the prairie crocus ecosystems. In Canada, Manitoba province uses the pulsatilla as its official flower. 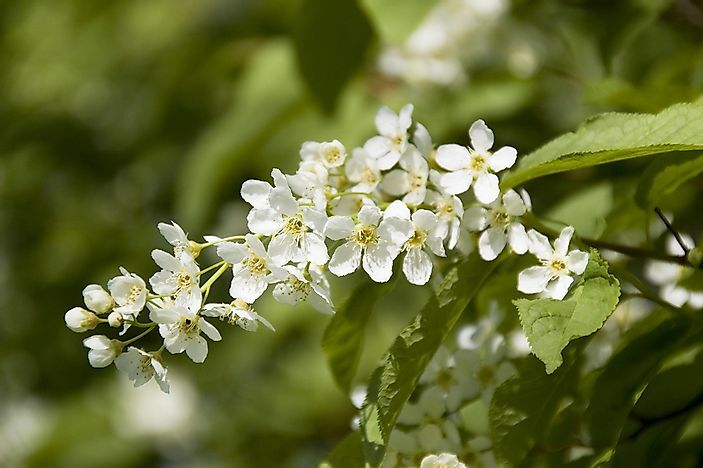 The Pacific dogwood also has names such as the Western dogwood, the California dogwood, or the mountain dogwood. This dogwood species is native to the western North America from the British Columbia to California. The Pacific dogwood ranges from small to medium size and rises to a height of about 10-25 m tall. There can be 8-12 leaves on this plant. 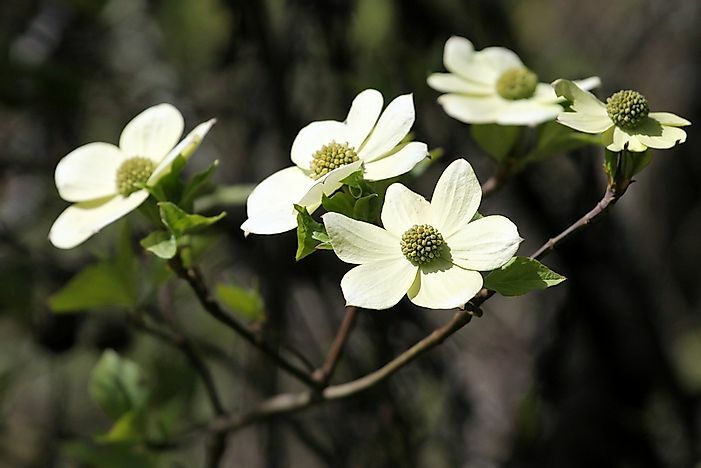 British Columbia uses the Pacific dogwood as its official flower emblem. The scientific name of the wild rose is Rosa acicularis. Other names the flower is referred to include the prickly rose, prickly wild rose, bristly rose, and the Arctic rose. The Rosa acicularis is diverse in North America, Asia, and Europe. This plant is a deciduous shrub that grows to a height of about 1-3 m tall and has pinnate leaves. The wild rose has pink flowers and is the official provincial flower of Alberta province in Canada.